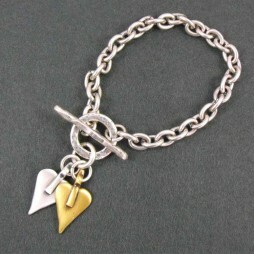 The most precious gift for somebody special. 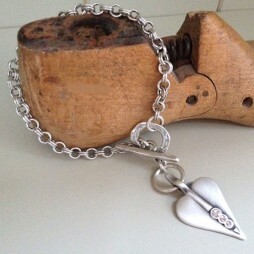 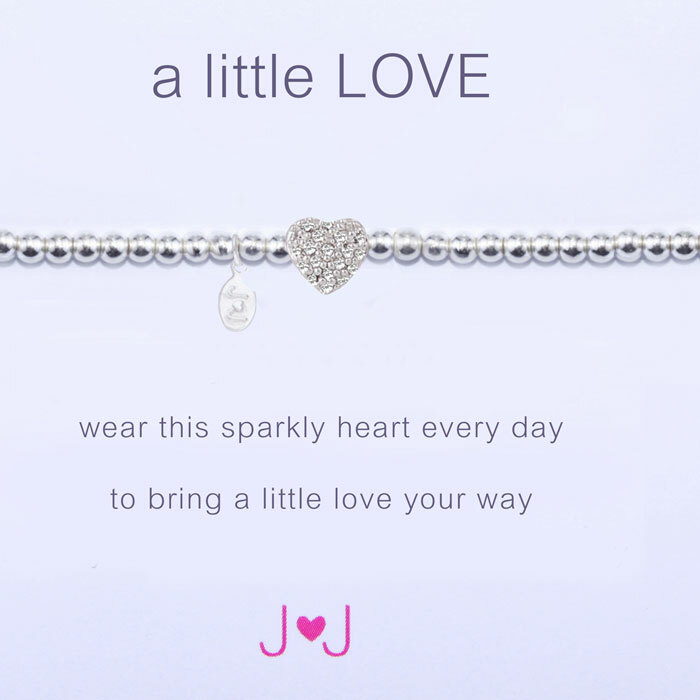 A dainty bracelet made from tiny silver plated beads and a little pave crystal heart comes on a gift card with the words ‘wear this sparkly heart every day, to bring a little love your way’. 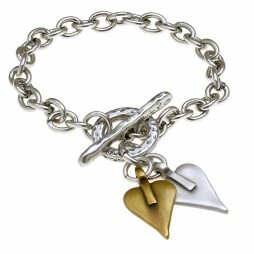 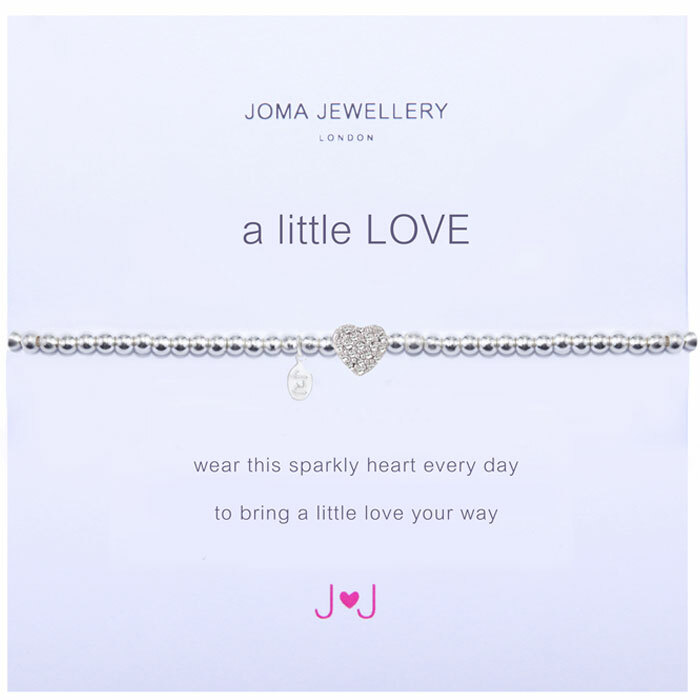 This beautiful silver plated Joma bracelet is stretchy and a standard adult size. 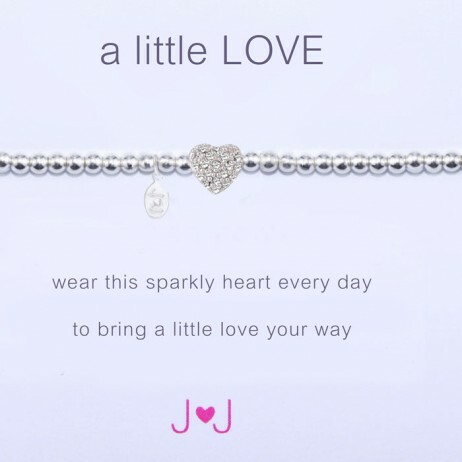 Your Joma Jewellery “a little love” sparkly heart bracelet arrives to your door presented in a lovely Joma Jewellery gift bag tied with a pretty white silk ribbon. 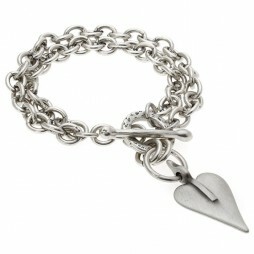 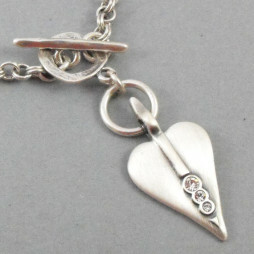 With Free UK postage available from Lizzielane today! 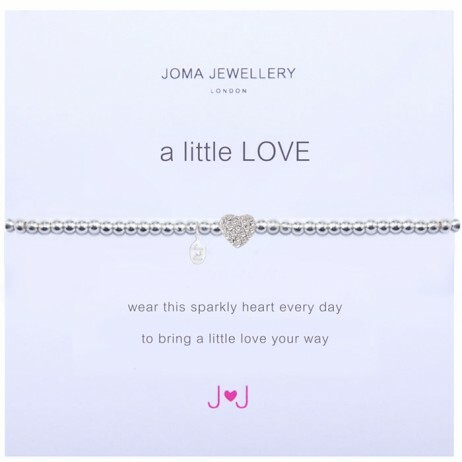 Anniversary Gifts, Gifts By Occasion, Joma Jewellery a little, Valentine's Day Gifts, Bride & Bridesmaid Gifts, Gift Ideas, Gifts £0 To £20, Bracelets, Crystal Bracelets, Heart Bracelets, Silver Bracelets, Wedding & Bridal Jewellery, Joma Jewellery.